Radtech X-Ray, Inc. has offered quality products and services to veterinarians throughout Michigan since 1987 and now servicing Ohio as well. We service and support all makes and models of x-ray processors, radiography, and digital equipment, and provide accessories at competitive prices. We tailor our services to the specific needs of each client. 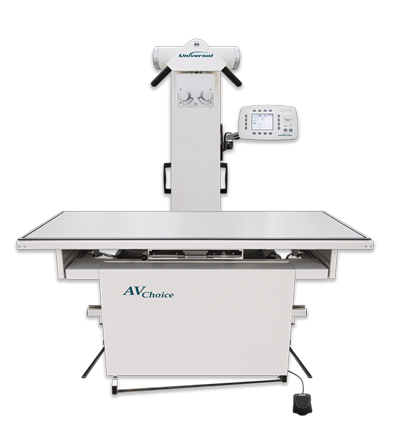 AV Choice systems are equipped with an integrated tube stand with variable SID and an anatomically programmed, high frequency generator providing a cost-effective and time saving solution for the veterinarian who seeks maximum capability in minimal space. The Americomp features an output of 300 mA at 125 kV and an easy-to-use control panel. Two mA stations provide fast exposure for small and large tube filaments. Eighteen time stations, as low as 1/120th for precise time resolution. Major and minor kV selectors provide resolution within one kV. The following solutions can be used to retrofit many veterinary x-ray tables. 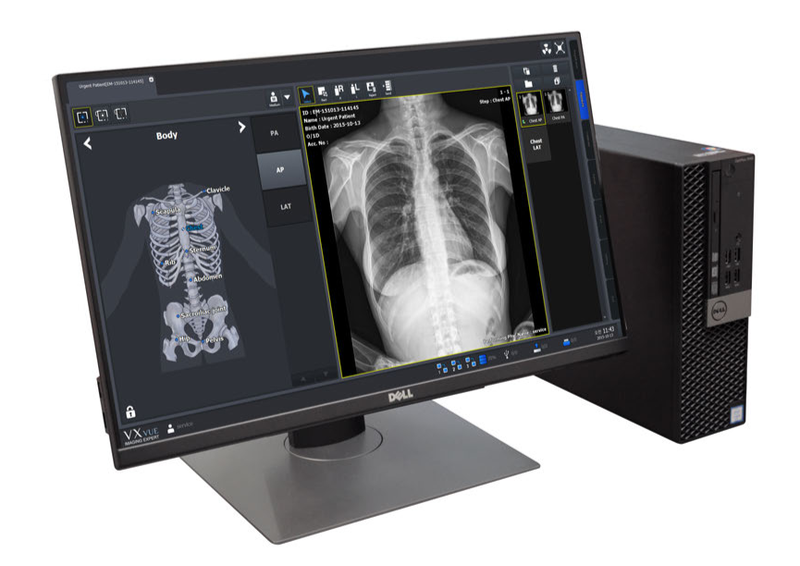 The ViVIX-S is a 17x17” flat-panel digital radiography system with a large field coverage area designed for veterinary radiographic applications using its image processing system and flat panel detector. Combined with a mini PACS, this system can also provide all your practice needs. Fujifilm FDR D-EVO is a 14x17 flat panel detector (FPD) that features quick image availability and short cycle times, as well as image quality and reliability. The Fujifilm FDR D-EVO slides into any existing bucky and can be used for tabletop exams. Standard cassettes can be used. The FCR PRIMA T2 is a table-top reader unit with a processing speed of 73 IPs/hour and a high-speed mode of 5 pixel/mm. Easy to operate. When small and large animals are your priority. Find a solution that can be used in your clinic as well as with your portable machine off site! 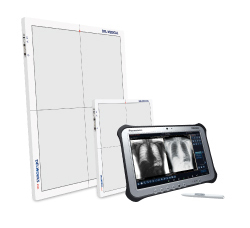 The DELWORKS FIT Tablet Workstation combined with DELWORKS E-Series DR Wireless Detectors maximize portability and efficiency with EasyConnect – enabling image acquisition anytime, anywhere. 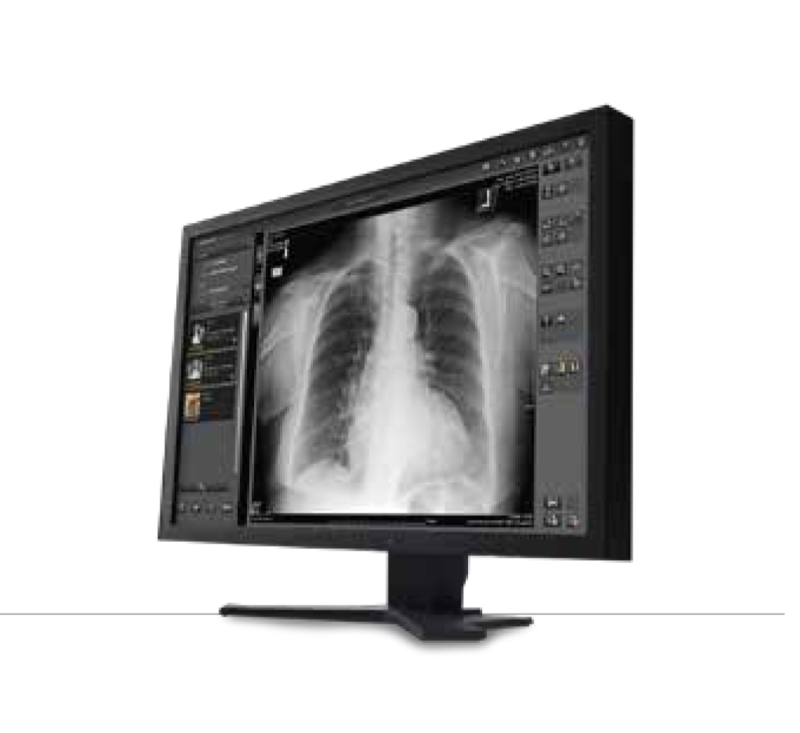 Existing analog mobile and portable x-ray devices, radiographic rooms, and other remote or distant locations can greatly benefit from the enhanced adaptability provided by the DELWORKS FIT DR System. Can be used in a facility and also be easily packed up to do any large animal portable exams. 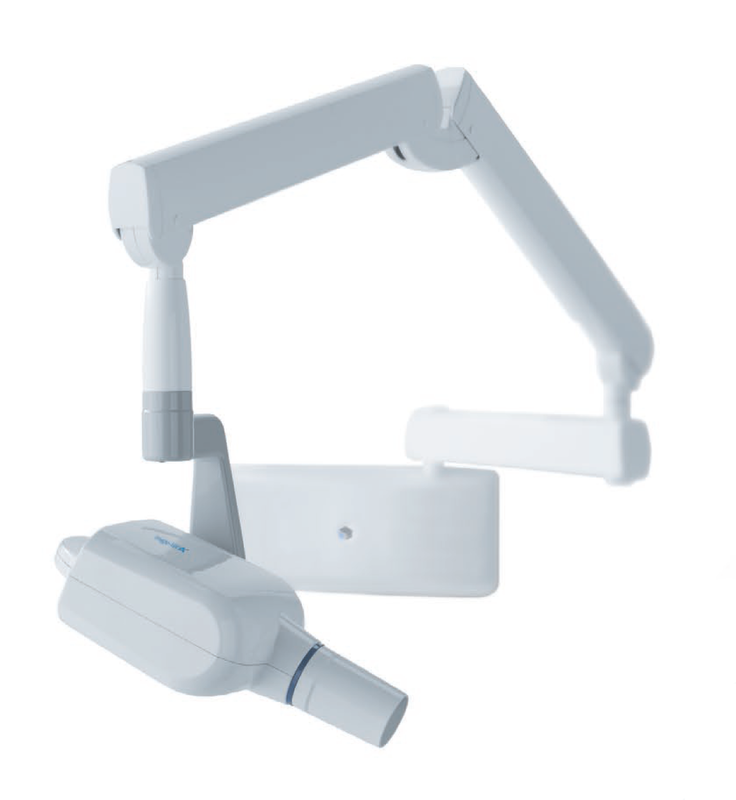 Completely portable, the FDR-flex is compact enough to be carried to patients anywhere and flexible enough to turn any analog x-ray room into a DR solution instantly. No wired connection to the x-ray system is needed! The full desktop functionality of the FDX Console is available with the convenient portability and durability of a laptop with FDR-flex. The wireless communication utility box fits almost anywhere and is easily transportable to other systems, rooms, or sites. 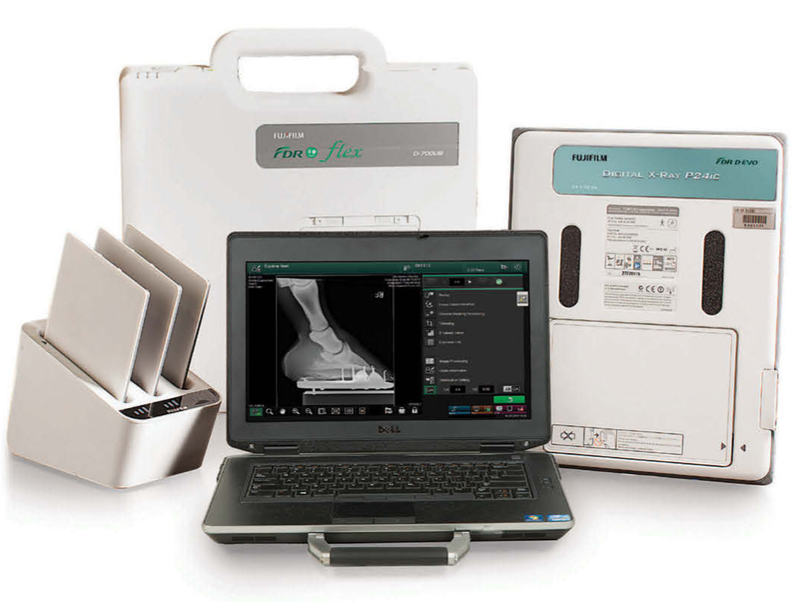 Carestream Pro DR is a digital radiography system utilizing either a wireless 14”x17” or a fixed 17”x17” flat panel to provide portability and flexibility for veterinary radiographic applications using its unique image processing system. Combined with a mini PACS, this system provides all your practice needs in a very competitive price range. 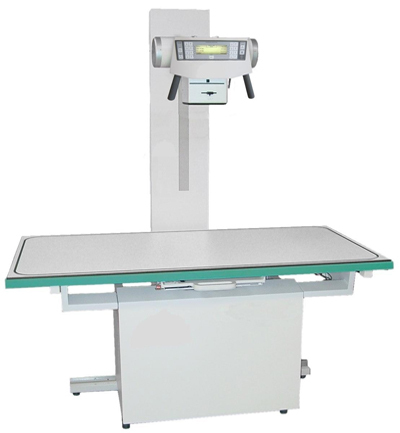 Ceiling mounted x-ray machine, portable stand or hand held device, which is best for you? Dog size sensor or cat? With many options to choose from, this dental equipment is designed to meet a Veterinarian’s particular needs. 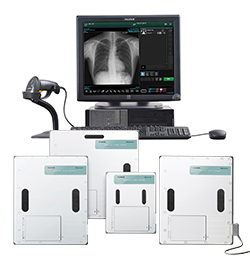 The ViVIX-S is a 17×17” flat-panel digital radiography system with a large field coverage area designed for veterinary radiographic applications using its image processing system and flat panel detector. Combined with a mini PACS, this system can also provide all your practice needs. 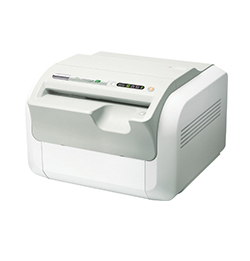 Fujifilm FDR D-EVO is a 14×17 flat panel detector (FPD) that features quick image availability and short cycle times, as well as image quality and reliability. The Fujifilm FDR D-EVO slides into any existing bucky and can be used for tabletop exams. Standard cassettes can be used.